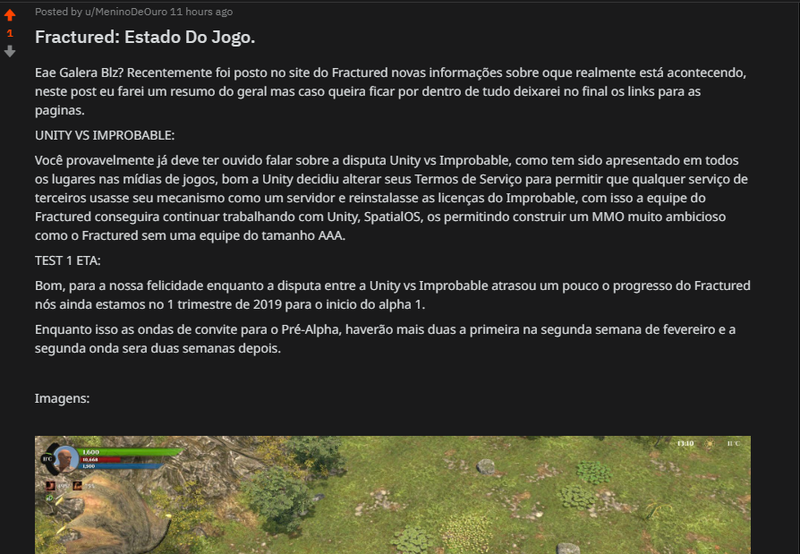 I was wondering about, when i saw today, Fratured is not to find at IndieDB. I wish my facebook friends to know about this great game. If you search my profile you will see the needed links for this upcoming MMO. My guild is The Shadow Empire. I am also a leader of a guild gaming community. I like the idea of Foundation system and how it encourages people to participate and spread the word. Still, there is one point I want to critisize; This system in current form also encourages to write only one meaningless post to get maximum daily points. That is the reason why..
..are the most popular forum sections atm. This does not have much value from gamedesigning point of view. Moreover, imo this is not in balance, because e.g. ten constructive feedback/suggestion posts in one day is equal to one "hello" post. @Tuoni That quest exists to encourage people to return to the website every day. It's purely for retention. I'd rather retain attention based on something other than a gimmick, though. The awards for valuable forum contributions, for instance, has seemed to help encourage interesting posts. If you are interested in the game, you will give your opinions and suggestions regardless of getting any rewards. There is also the weekly 1k bonus points (and the weekly 2k) for one lucky person, which gets drawn from people who are actively participating in the forum (the winner still gets drawn every week, they just have not been published for a while now). The ranking of the Foundation was only important for the Pre - Alpha. People in the top 100 were sure to get an invite (which are people who have at least followed the game for a few months). Additionally to that they invited people drawn from the weekly drawings -> people who were active in the forum also got a chance to be invited. I kind of understand that, but you can not say its purely for retention if its bound to foundation system where is reward ladders. It just not feel fair in current form and would need some tweaking. If you are interested in the game, you will give your opinions and suggestions regardless of getting any rewards. It clearly seams this is not happening. There is also the weekly 1k bonus points (and the weekly 2k) for one lucky person, which gets drawn from people who are actively participating in the forum (the winner still gets drawn every week, they just have not been published for a while now). I was expecting someone to pull this card. This is a good system for sure, but still does not make any difference to fairness of daily messages. That is not true. Foundation has reward system included which offers also ingame benefits like cosmetics and shop currency. @Tuoni I don't really think it's worth changing at this point as the Foundation is most likely going to end at some point during the alpha. Well if that is the case then ofc there is no reason to make changes anymore. However, ending foundation system in state of game where it could be even more useful sounds really weird solution imho. When Alpha 1 without NDA is already going on, then Foundation system will be more valueable than atm. 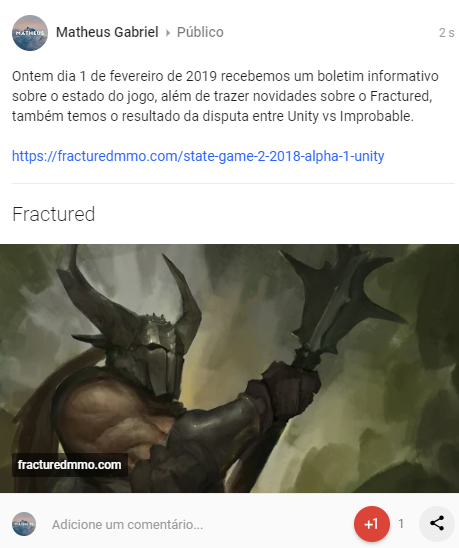 Then those new visitors who have lured to check out Fractured, have more actual content to follow and even possibility to join game straight away. Moreover, community has more to talk about, and more suggestions and feedback to give.